Reverse of 2003 One Ounce Gold Britannia Proof Coin - Britannia Rules the Waves! In 1987, Britannia finally received the accolade of being promoted to a gold coin for the first time ever, at least since Roman times. Britain decided to compete with the successful South African krugerrand bullion coin which had been minted by the million since introduced in 1967. The gold Britannia was born. In one ounce, half ounce, quarter ounce, and tenth ounce sizes, the new Britannia bullion coins had a face value of £100, £50, £25, and £10 each respectively. The weights quoted are the actual amount of fine or pure gold contained. Because of VAT on gold coins in the UK, sales of gold Britannias never took off in the way that krugerrands had, but now that most gold coins are exempt from VAT, as from January 1st, 2000, we hope that they will become more popular. They are a far more attractive design than the krugerrand. 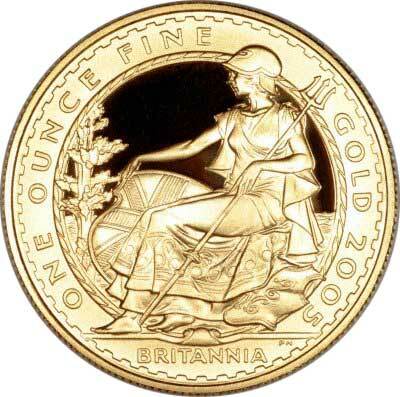 The gold Britannia features a standing figure of Britannia, similar to that used on the Edward VII florins. 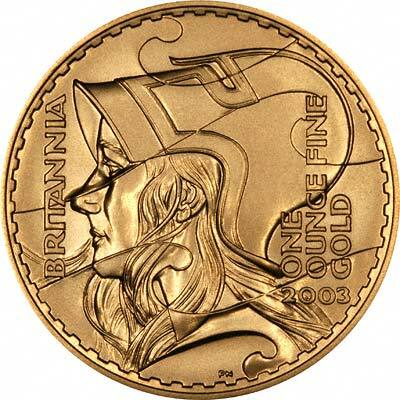 The new "Standing Britannia" used on the gold Britannia coins was designed by sculptor Philip Nathan. For more information about Gold Britannias, please take a look at out the Britannias Information page of our Tax Free Gold website. 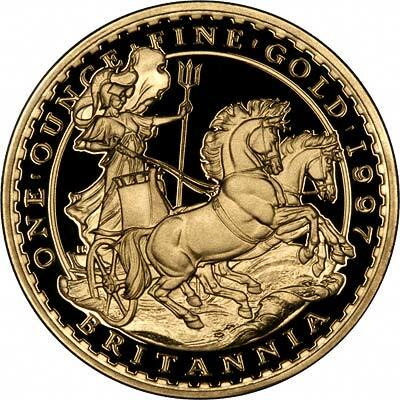 In 1997, for the tenth anniversary of the gold bullion Britannias, a new design was rolled out. This shows Britannia standing driving a chariot drawn by two horses, in the manner of Boudicca, or Boudicea as she is better known. In addition, a new set of Britannia Silver Bullion Coins were introduced, weighing, containing similarly to their gold counterparts, one ounce, half ounce, quarter ounce, and tenth ounce of fine silver. For obvious reasons, silver Britannias are struck in Britannia silver (958 parts per thousand) instead of the more usual Sterling silver (925 parts per thousand). With the four gold versions, and the four silver bullion coins each of which must be counted as a separate denomination, Britannia had now appeared on a total of eighteen different British coin denominations. 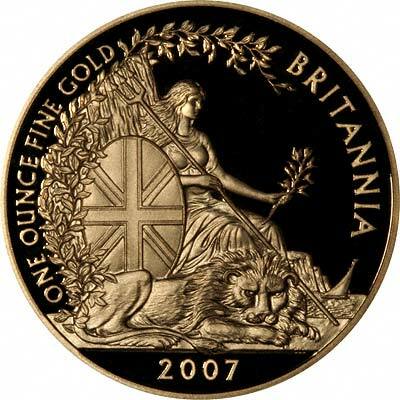 As at February 2001, we believe that the Britannia gold and silver coins for this year may feature new designs, but we will probably not hear more than this until August or later. In 2001, another design of Britannia is that on the 2001 gold and silver Britannias. This shows Britannia standing beside a lion, in a portrayal reminiscent of the Una & the Lion £5 gold coins of 1839. "This year's Britannia Gold and Silver Proof and Silver Bullion coins bear an exciting new reverse design, the third image of Britannia by Philip Nathan. The 2001 design combines Britannia with the British Lion and, to make Britannia even more British, depicting her dress and helmet as North European in style rather than South European. The vertical form of the figure of Britannia is matched by the lettering, giving the name Britannia, the weight of the coin and the date 2001. The design is anchored by the lion as the two figures move purposefully forward with a sense of unity and inseparability. The obverse bears the Ian Rank-Broadley portrait of Her Majesty the Queen with the legal tender value of each coin below the portrait." For 2003, the Britannia features another new design, this time a helmeted head of Britannia, and a wave pattern superimposed. It reminds us of a jigsaw! In 2005, a new seated Britannia design arrived, although this new design recalls some of the earlist Britannias from Roman coins, and also most of those from the reign of Charles II onwards. Britannia also made an appearance between 1901 to 1935 when she appeared standing on British Trade Dollars, these were never circulated in Britain , but were made for use in the area of the Straits Settlements, Singapore, and Malaya.